Paperbacks blink in and out of print like fireflies. 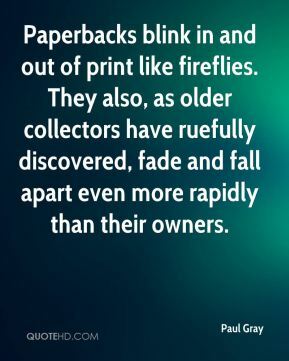 They also, as older collectors have ruefully discovered, fade and fall apart even more rapidly than their owners. 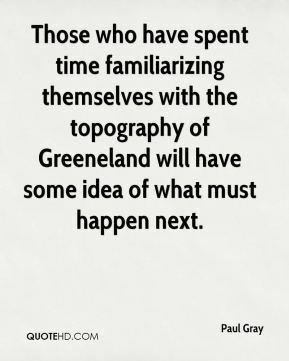 Those who have spent time familiarizing themselves with the topography of Greeneland will have some idea of what must happen next. 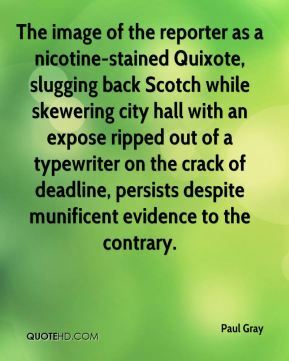 The image of the reporter as a nicotine-stained Quixote, slugging back Scotch while skewering city hall with an expose ripped out of a typewriter on the crack of deadline, persists despite munificent evidence to the contrary. It even looks exactly like a real book, with pages and print and dust jacket and everything. 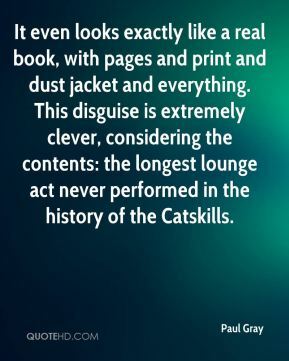 This disguise is extremely clever, considering the contents: the longest lounge act never performed in the history of the Catskills. 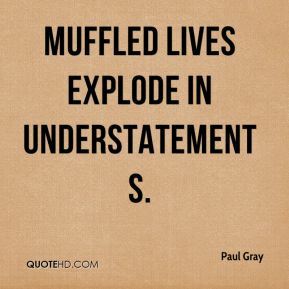 Muffled lives explode in understatements. He offers the never-never land of convenient cliches. 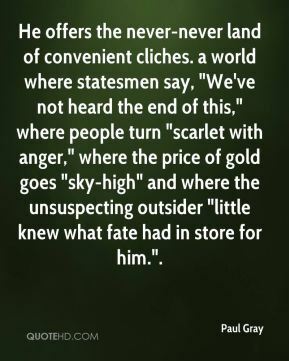 a world where statesmen say, "We've not heard the end of this," where people turn "scarlet with anger," where the price of gold goes "sky-high" and where the unsuspecting outsider "little knew what fate had in store for him.". 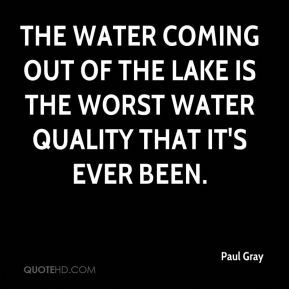 The water coming out of the lake is the worst water quality that it's ever been. 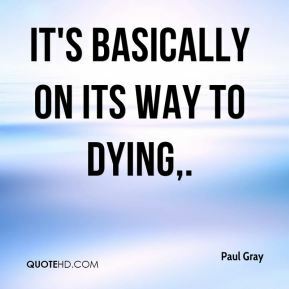 It's basically on its way to dying. 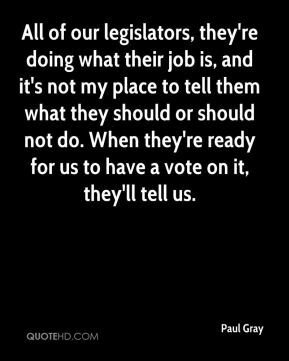 All of our legislators, they're doing what their job is, and it's not my place to tell them what they should or should not do. When they're ready for us to have a vote on it, they'll tell us. 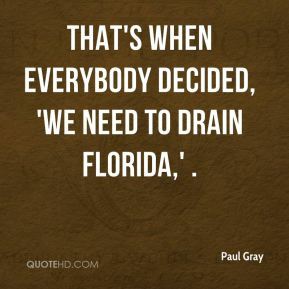 That's when everybody decided, 'We need to drain Florida,' . I think if you took 3,000 photos here today, you would find it looks very much the same. 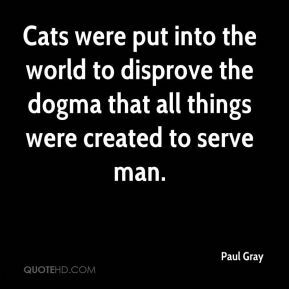 The culture doesn't change. 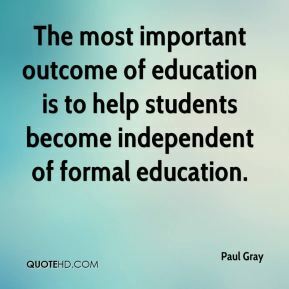 What makes this place what it is are the students and faculty. They're just as bright and eager now as they were 20 to 30 years ago. 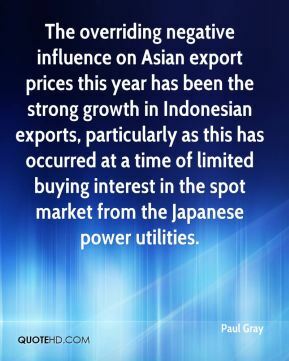 The overriding negative influence on Asian export prices this year has been the strong growth in Indonesian exports, particularly as this has occurred at a time of limited buying interest in the spot market from the Japanese power utilities. 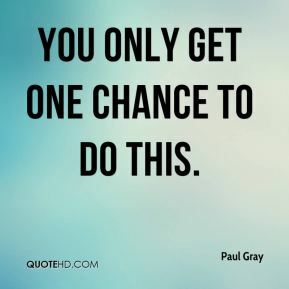 You only get one chance to do this. 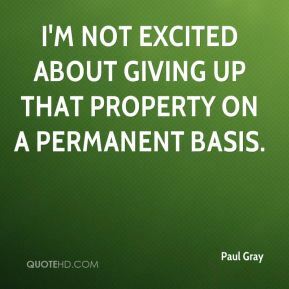 I'm not excited about giving up that property on a permanent basis. We had opportunities to score some points off turnovers but then we would turn the ball over ourselves. 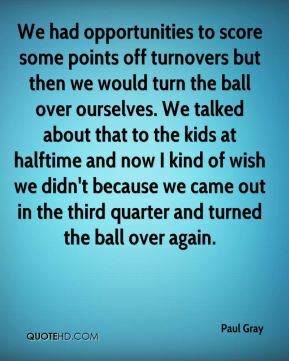 We talked about that to the kids at halftime and now I kind of wish we didn't because we came out in the third quarter and turned the ball over again. 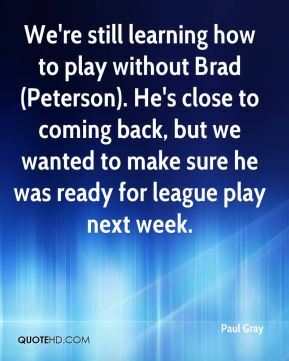 We're still learning how to play without Brad (Peterson). He's close to coming back, but we wanted to make sure he was ready for league play next week. 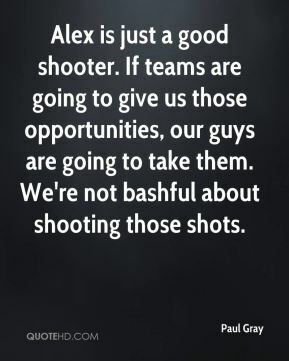 Alex is just a good shooter. 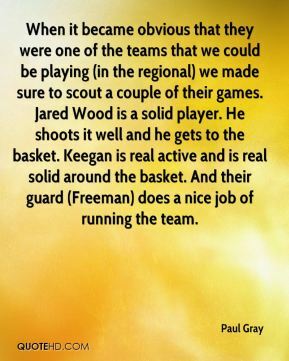 If teams are going to give us those opportunities, our guys are going to take them. We're not bashful about shooting those shots. 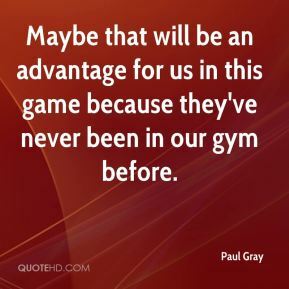 Maybe that will be an advantage for us in this game because they've never been in our gym before. The nuclear industry is currently undergoing a rebirth. 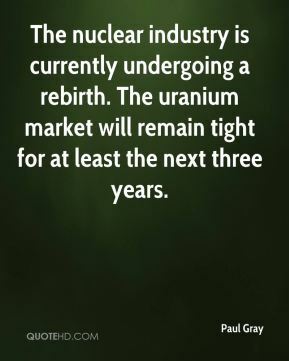 The uranium market will remain tight for at least the next three years.